My sincere and deepest apologies for my assumption. There are other threads that flat out say that was your position with the group. I guess it goes back to my point awhile ago that inaccuracies can become truth by shear repetition. I assumed something without checking and fell into the same trap I was asking about. Being a concert engineer, is it true that the group's sound system was used at Monterey Pop? I am not sure if this topic has been touched on. Also, did you help with the group's concert sound at the Big Sur Festival in 1970. I have heard from someone at UMG that A&M, who recorded the festival for Ode Records, has a very good sounding recording of both afternoon and evening sets. Being an respected and innovative sound engineer, I was wondering if you were consulted with. Finally, I just listened to both Live In London and the In Concert albums. What a great mix. So crisp and clear, it is like you are there at the concert. In Concert's mix seems distant for lack of a better term. It's not as sharp and the audience sounds far away. Your mix makes someone understand the excitement of a Beach Boys concert. Again thank you. COMMENT: You ask about postings on Monterey Pop Festival. I have commented on SmileySmile and over at Hoffman. Below are copies of some of those postings. Yes, I was involved in the Big Sur Festival. As the mixer for the live feed of the entire Monterey Pop Festival (MPF), let me shed some light on the happenings of that concert. As you may know The Beach Boys were suppose to perform at MPF, but at the last minute pulled out because Mike Love did not wish to be associated with Coke, one of the sponsors of this event. At the time he was into health foods in a big way and did not wish the group to be a part of MPF for that reason. However the equipment and tour booking subsidiarity of the Beach Boy Corporation, American Productions, had already signed a contract for supplying the major portion of the sound equipment used at MPF. Their system was supplemented by other equipment available in the area. They ask me to mix the live feed, which I did. To my knowledge, and I would know, not one of the several filming crews ask for a PA feed. They were running around filming wild-track. The only feed from the console was going to my professional Sony cassette recorder. I remember there was a heavy slap echo from some structure behind the mixing console, but this is not heard on the cassettes. I suppose that "Nasty digital reverb" you refer to was the slap being recorded by the film company's microphones which may have been picking up the live sound from both the stage and the sound reinforcement system. Digital was not invented at the time. That would also explain the "narrow mix" and "drums mixed out of Wild Thing" you hear. I have listened to my personal cassette copies of the MPF many times along with entertaining close friends, and I assure you that my mix from the console feed is clear, balanced and full-fidelity -- actually a joy to hear. Although the PA feed was mono, the cassette feed was a stereo feed, perhaps the only one around. I had to supply a mono PA feed because the stage was too wide for the narrow area right in front of the stage for a stereo image. Those at the extreme edges would not hear correctly, so mono it was. The mixing console was about 15 feet in front of the stage, but above the heads of the crowd. My view of the show was excellent. After checking levels out "in the field" I mostly listened over headphones because of the slap echo from that structure behind me (or rather in front of the stage). Once I got balances correct it was usually just a matter of making sure the correct vocal mics were elevated in the mix. I ask Jimmy if he has any preferences for his sound in the mix, but he only ask for a balanced and standard mix, with more vocal in the monitors -- which he got. All the other acts seemed pleased with the mixes they got. It's too bad all these DVD compilations haven't ever called me to inquire about the sound. At this point in time it's too late anyway. I'm not certain who owns the rights to the sound. I think that at the time of filming the MPF, all the people doing this were mostly concerned with images and not audio. Now all these years later, we are more aware of good sound, but all you get with these videos is sound picked up by audience microphones or camera mounted mics. This sound has undoubtly been over-processed to try to compensate for the lack of presence, and thus sound like crap. If you had been there the PA sound was good, as you can hear on the cassettes recorded directly from the stereo output of the mixing console. Unfortunately I don't have the Rights to post these recordings on Youtube, or I would. The concerts were professionally recorded by Wally Heider to 8-track, and official releases, both for disc and film, have been mixed from those 8-tracks. Many different mixes have been made over the years that are all quite different in terms of overall sound, stereo positioning, etc. For the Criterion DVD, new 5.1 mixes were made from the original 8-tracks. While I can't speak directly to the Hendrix mixes Chris mentions, there certainly is the possibility that digital reverb was used when mixing. COMMENT: Good info. for understanding the behind-the-scene events. I don't recall a mic splitter used on stage, but it was a long time ago for remembering a detail. My concern was with the audience proper. Given the videos show only the one mic, my mic, follow the cable down and you'll find it plugs into the snake feed-box that goes out to the PA console. Wally's engineer could have easily unplugged the mic from the snake box, plug it into a splitter and then the two outputs of the splitter going (1) back to the snake box and (2) out to the recording truck. Since the snake-box is usually off to the side or out-of-sight -- and because so much was happening on stage, they just inserted the splitters. What happened out in the back parking lot was not in my line of vision. I suppose you can lease the 8-track master for a project? Then sink video shots to the mixed sound in 5.1 (digital delay and all). Hey, maybe you can see the PA mixing console in some of the shots! I only hope the 8-track was mixed in analog form with all the treatments, then converted to digital . . . not converted first and then put together into 5.1 with all digital algorithms. At any rate, if the back surrounds are too high, and you hear that slap echo from the audience microphones, I can see how it would be annoying. You could always turn down the surrounds, it that's the problem. There have been many different mixes from the multis over the years for different projects, all done a bit differently. Some were obviously analog (being done in the '60s and '70s), but I have no idea how the later ones were done. Did Michelle Phillips' vocal mic record on your recordings (or show up in the PA mix)? Because it didn't seem to on the multitrack recording. I usually used condenser microphones for the Beach Boy front lineup, but for this venue and the style of singing that was to be expected, I left the condensers at home and used '56s out of the studio. Mostly in the studio these were used for guitar amps and other such instruments. We had plenty of them. The built-in shock mount on the 56 is better than the 57 and so the 56 works better in most cases. Low frequency isolation from all the on-stage speaker equipment is essential for several reasons, one being you could run the on-stage monitors louder without feedback. So I brought along all the SM56s. Some used on stage too. The alternative choice were EV RE-15s. These are rugged, but the entrances on the top of the mic make it prone to surprise feedback in pa use. In the studio it's a wonderful mic to move around and "tune," but I went with the Shures. Of course there were other mics too. The big problem in venues like MPF is there is no preparation. You must be versatile. Change an act and just put a mic on everything and get the show-on-the-road. In the front row you may have three or four two many microphones. People just step up and sing. You've got to be on your toes at all times. You learn how to anticipate moves by watching "body language." Even if you don't know the song or who does what, as a mixer of something new to you, if you keep an overall eye on the stage you can usually have a mic opened when it needs to be. I did eventually buy the DVD of The Monterey Pop Festival using the footage I saw them filming and (evidently) the mic splits from before the snake feeds. I liked and enjoyed viewing the DVD -- noting that the mics I placed on stage (like over the drums, vocals, etc.) were at least documented in the video. Of interest if you see this DVD, the drum mikes are the same SONY's that were always used in the house reverb chamber. A million thank yous for the response. I wish more people knew of what you did. I mean your name should be spoken on the same level as a Larry Levine, Chuck Britz, Bruce Botnick. You also seem to be the American counterpart to Geoff Emerick: someone who helped developed the sound that made the group sound stunning. I also love the notes on Surf's Up. When I got some basic knowledge of engineering, I got the joke. I know you left the group in 1972, but did you do some of the engineering on Carl & The Passions. If this has been covered please don't take the time to answer again. Again my apologies for asking previous answered questions. This board is like a series of endless caves that one can get lost it in. Thank you and have a wonderful holiday time. COMMENT: I'm not certain where Carl recorded his solo album. Perhaps other fans could shine the light of information into that cave. By the time he recorded Carl & The Passions, I was touring with Frank Zappa in Australia. If you go to my website, http://swdstudyvideos.com and look for the button, "SWD Profile & Anthology" on page three under Links of Interest, you will get some of my background. Thank you, Mr. Desper, for your incredible work with the Beach Boys. And for your patience and diligence. Sorry for asking these questions, but I have been studying your thread (or the one named after you) and I am revisiting Spring/American Spring with a question. I believe that Dean Torrance took the 1967 the Laughing Gravy version of "Vegetables," and had Brian and (American) Spring overdub vocals onto the existing track. I believe that that version was released by United Artists Records in 1972 as a Jan And Dean single on placed on their Anthology album . Since the overdubbing sessions parallels with the recording of the Spring album, did you supervise the overdubbing session? I like it, but it is still no match for the Beach Boys recording. Thanks for all the information. it is a treasure. When you recorded Monterey Pop (or any of the BB's concerts or any ), its not just mic into the board is it? You use outboard equipment, Like a limiter or a compressor? At Woodstock (which was Hendrix's engineer) from what i heard they were using little tapco (i think) mixers chained together! COMMENT: There are basically three ways to record any concert. 1) Using in a microphone or stereo pair of microphones set up near the speakers (hopefully). Of course you also get the sound of the concert hall, crowd noises and a mix that is optimized for the venue. 2) Taking a direct feed from the console, usually one or two channels (mono or stereo feeds) recorded directly to a disc recorder, tape recorder, cassette recorder, or computer digital recorder. The feed is direct without any limiting or compression or EQ; all of which could be added at a later time if needed. This feed can also be feed to two tracks of a multi-track were it might be combined with audience microphones or additional parts be added (sweetening) at a later time as was the case of London concert tape. 3) Splitting each microphone or direct box signal as it comes off of the stage but before going to the house PA system. The split is usually done via a multitap transformer rather than by an electronic circuit. Using a splitting transformer prevents the introduction of hum loops into either the recorder or the PA sound system since the transformer physically isolates all elements one from the other. Each microphone is subsequently feed to a multi-track recorder where it is captured without any limiting, compression or EQ. The multi-track is then mixed at a later time with limiting or EQ applied at the time of mixdown. In the case of Monterey I recorded a cassette of the main acts for my own use, but Hider's had a sound truck with a multi-track recording each mic feed directly. It was mixed years later for the DVD you can now buy. I never use limiters for sound reinforcement. I prefer using the proper microphone in the first place, rather than the wrong mic and a limiter as a Band-Aid to try and correct a poor microphone choice. Chaining mixing boards together is common. The consoles we used for recording in the house studio and for mixing road shows during that period were actually two mixers linked together. 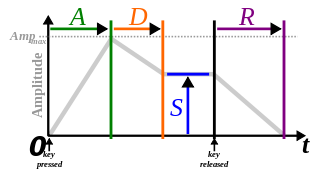 A more common technique is to connect mixing boards in tandem, where one feeds into another. Used for large venues. When I mixed the Zappa shows we had 360 sources of sound coming off the stage. This would be impossible for one man to mix, so we used five sub-consoles to pre-mix many of the feeds. The output of these consoles together with the front-line mics was mixed on a central mixer for the house sound feed. I did record those shows on a stereo cassette recorder for reference and critique by Frank. Some main shows were recorded on a two-track 15 IPS recorder for his later use. Large consoles that do have input channels numbering into the hundreds are used for cinema mixing. Large and complex battle secquences can have several hundred tracks that must be mixed with the picture to make up a scene for a movie. This is all done at once by several mixers who sit a huge consoles and work the knobs. One mixer handles dialog, one sound effects, and one music. An additional mixer my control sound motion. Cinema Console Picture >>> https://i.ytimg.com/vi/z_BU-OYjgKM/maxresdefault.jpg. Some years ago a Beach Boy Friends concert was given to a closed audience (large audience of Chinese attendees). It was filmed using five cameras on booms and such. Sound was recorded using 36 digital tracks. About six months later the director had finished editing all the video from the five cameras into one continuous picture. 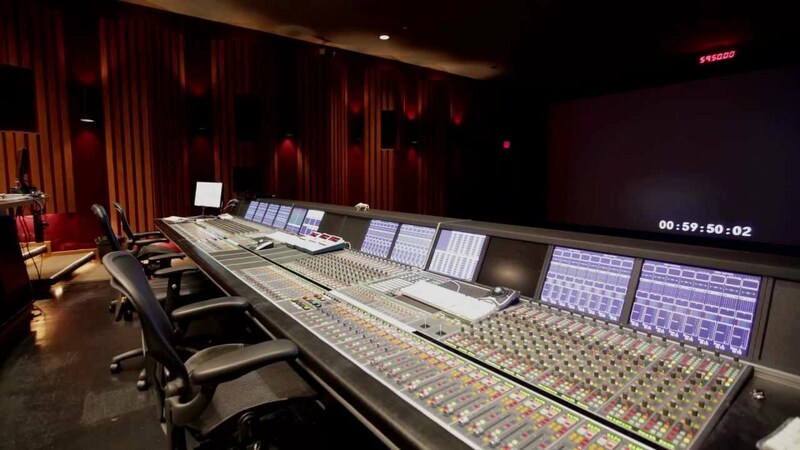 They called me to come over to Sony Pictures (Columbia Motion Picture Studios) to mix the 36 tracks into a 5.1 surround track to go with the picture. It took about five hours to make a mix, which the director liked. These were eventually combined to make a 45 minute DVD that was distributed in China and is not available in the US. For that mix I used all the equipment that would normally be used for any music mixdown including track doubling and notch filters, standard EQ, limiters and envelope generators. So to answer your questions, it all depends on what you are trying to accomplish, the equipment on hand, and the general plan. THank you very much. I love learning about history . I record myself, done demo recordings for bands back in the 1970's, I just wondered how it was done on the historic concerts that I love. Being a "recording engineer" that does it for fun, your study web page is just great. Also your philosophy about recording helped me...its ART, there is no right or wrong. ...well unless you are being paid and there is an expectation. Nothing better than hearing a old beach boy tune like Fun Fun Fun on an AM radio in summer. I never understood how even on a cheezy speaker and AM doing the compression how you can hear every instrument. But after reading your posts, alot of it is in the mind and what we perceive emotionally what we hear. I'd just never thought about it. I can't remember where, but they asked a big engineer (Bob Clearmountain, not sure) about which type of studio is "best". He said, the best studio is the one that gets the idea across...even if recorded on sub-par equipment. ever thought about it. Compressor? whats that? Limiter? whats that? Reverb? never used it. didn't have access to it. didn't care. Now, I have hundreds of plugins at my disposal. Too many choices. Thats ok though. At some point i figured its OK to just have fun, unless you are paid. "straight wire with gain"...oh no! NO FUN! THank you very much. I love learning about history . On Page Three under the heading "LINKS OF INTEREST"
Not knowing anything about sessions at all (unless the AFM forms can be found), I would think they recorded at Gold Star. My reasoning is that Brian idolized Phil Spector and respected the job Larry Levine did, and since he thought of the Honeys as his Ronettes, it would make sense to try to create a similar sound at the same studios. The AFM sheets from all the Honeys' sessions have been located - except, interestingly, one that is known to have been recorded at Gold Star, and that's "The One You Can't Have". Otherwise, the early sides (co-produced by Brian and Nik Venet) were all done at Capitol, but the early ones Brian produced by himself were done at Gold Star ("He's A Doll" and "The Love Of A Boy And Girl"). As for the later stuff - Murry produced some sides at Sunset, only one of which has subsequently been released to my knowledge ("Come To Me"), and Brian produced backing tracks at United and vocals at Wally Heider for "Goodnight My Love" and "Tonight You Belong To Me". Would it be fair to say that the session info listed in the 1993 Capitol Honeys compilation isn't entirely accurate, then ? I've been listening to FM radio recently and am noticing that songs that are heavily vocal driven are the most popular, particularly when there is honest emotion behind the vocals. Where the vocals drive the melody, are highlighted and upfront in the sound mix, magnified, and standing apart from the instrumentation, most of which I can barely identify. I give a lot of credit to the Beach Boys and Mr. Desper for this. What does an Envelope Generator do...for you, on super pro setups? (vs. Pro-sumer ). Those weren't used back in the 70's and 80's were they? P.S. I am making full use of your site! I noticed on Breakaway, when its run through the matrix, it seems to have less high end. Is that a playback issue on my end? I have listened to that song for decades. First time i noticed the castanets (or whatever). Just never thought about them, they fit so well. Envelope Generators have been in electronic use since the 1930’s when used in the new-fangled electronical curiosity of that time known as a sound synthesizer. Most were in University Music Laboratories, First use in musical instruments was by Mr. Hammond, in one of his organ products of the forties. In the early motion picture production though cinema production of today, envelope generators have played a key role in dialog recording in the field. I’ll explain later, but the point is that envelope generators have been around since the vacuum tube. Basically the envelope generator controls the amplitude of a sound from a beginning point to an ending point. The generator can shape the sound over a long time of several seconds to a short time of a millisecond or so. The trigger for starting the generator can be external to the sound it is controlling (such as a keyboard) or internal to the controlled sound (such as a drum gate). This can be done using vacuum tubes, transistors, or digital algorithms. Also known as envelope modulators, envelope controllers, trigger gates, drum gates, de-essers, all ADSR envelope circuits perform the same function, which is summed up in the ADSR envelope. You ask about my use as an engineer . . . in recording I used gates for drums mostly, but since I was programming the analog Moog Synthesizer my first introduction to an envelope generator was by adjusting all ADSR parameters for each generated sound of the Moog. That was an education right there. When envelope generators specifically designed to gate a drum kit came to market, it solved many problems, but mostly removed microphone bleed from all the other microphones that were not being used at that instant. This gave great definition and control over the “sound” of the drums. Each drum could now be miked and then shaped into a completely different sounding drum, or an ideal drum sound for that beat at this time in this song. EQ and Envelope Shaping give the engineer great control. In motion picture work, envelope generators are used to remove all the noise that is in-between the spoken voice. A very tight following of the voice that gates out all external noise. Then other sounds may be added back in, such as office noise, or the deck of the Enterprise – be it in fantasy or reality, or any noise background. When added in under the dialog, it will make the dialog clearer. My own patented invention used two envelope generators in it’s topology. So they can be used in other applications. I tried using envelope generators in live concert to gate OFF front-line mics not being used, but it freaked out the guys who were use to playing the mic and not required to stay only a short distance. Used it once or twice and then discarded. However, today’s concert mixer uses gates for many applications. Use of the 1176 Limiter as a gate – I write about this in my book, part two. To be out soon. As to the treble on Breakaway, there is no right nor wrong amount of treble on this song or any song. If you like it with more treble, add it! That's want the tone controls are all about. I think everyone should re-master every recording they hear to their liking even if it's just adjusting the tone controls --- to their liking that is. It may not be to my liking, but they are the listener, you are the listener. Please your ears. Thanks for your remarks and recognitions. I went out and downloaded a free Transient generator, which I assume is similar. Tried it on drums....it helped me get them to sound "louder" competing with 2 electric distorted guitars. See, something else I learned from this forum!. along what you said about recording drums. more like an LP would sound vs. CD. Just my thoughts. thanks again for your time. Greatly appreciated. Thank you, Stephen. I am bookmarking it. I have sampled drums from my Yamaha Motif, but I am still going to try it. Ya never know. Was there ever a time when you felt you achieved the perfect "sound." I mean, was a studio or concert event balanced and engineered so correctly or perfectly in your mind that you thought "that's it, I have made perfection." Or is there an element that when something is achieved, is it excellent but not totally perfect. Just wondering if audio technicians are as much perfectionists as the artists themselves. Also, sorry to ask again, but I was wondering if you helped out on the overdubs for the Jan & Dean version of "Vegetables." Again, I appreciate all your time on this board and thank you. COMMENT: I cannot say what is in the mind of Brian. Only he knows. COMMENT: At the expense of being viewed as an egotist, I will answer your question by saying that there was never a time when I considered any element or balance as being anything other than perfect. When judging your own decisions, one must take into consideration all the shortcomings and circumstances under which a concert balance or recorded element is achieved. Looking back I can make judgment calls with the advantage of hindsight, and say I should have done this or that, but at the moment of creating the balance or element I can only say that given the situation under which such creations were achieved, at the time of achievement, perfection was realized and compromise was not a consideration. Never entertain a concession in your mind. Excuses only lead to the concept of inferiority. God only creates perfection, therefore anything perceived as being less than perfect is not real; it is a deception. A persecution (such as the illusion of depth in stereo reproduction) can be part of reality, but a deception is a distortion of reality and therefore is not real. A deception may seem to be real, but that is its nature until the truth about its nature is revealed. Once revealed, the deception is short lived. Therefore I was never deceived into thinking that what I was creating was anything less than perfect. I only remember being connected with the Beach Boy's Vega-tables. Further comments on Vega-tables can be viewed at http://swdstudyvideos.com. Thank you for the wonderful and insightful answer. (Also the great philosophical message.) It may be apples and oranges, and they all have their unique situations, but I have always thought and outdoor set up for concerts had more complications that an indoor setting, based on the natural elements (wind, humidity, the direction of the concert). But when the Beach Boys were touring during you time with them, there was a great change over in auditoriums. Rock concerts were being played in buildings that were many decades old and not prepared of the type of sonic power a rock and roll could produce. Was it always to create a sonic balance that would be excellent while, at the same time, understanding the architecture where the concert was performed? It seemed rare that in the mid-1960s that most groups had their own sound systems. An auditorium or concert hall is just a box that contains the sound. Ever ponder how many boxes make up the sound we hear at a show? First there are the guitar, piano, drums, all really a box with strings or skins resonating the air within. A trumpet or flute is a tuned box like an organ pipe. Even the human voice is referred to as a voice box. The guitar box is amplified by the guitar amplifier box, which is filled with diaphragms moving air. A microphone picks up the moving air, itself a diaphragm in a box, a small box or chamber, but nevertheless a box. This is amplified and sent to another box filled with large diaphragms moving lots of air into, yet another box we call an auditorium. All these boxes influence the sound, each in their own way. Big boxes, disguised as big rooms we call auditoriums, are subject to something called “acoustic overload;” or the point at which a room becomes saturated by acoustic energy because the atmosphere within the box can no longer absorb the energy. Once the room is saturated, energy is returned back into the room and begins to build up in the form of standing waves and excessive reverberation – usually augmenting at the resonant point of the structure’s internal volume (called axial modes). A typical living room will reach the acoustic overload point with around 100 watts driving a speaker, whereas a concert hall may require several thousand watts. If you eliminate the box and move the venue al fresco, the acoustic overload point disappears. Sound just propagates to infinity and is never returned. Contrary to what is a mis-conception, trees, bushes, and fences have no effect on sound … no return and no blocking. Wind and temperature only effect sound propagation over long distances, like half a mile or so. Since the auditorium retains energy and the outside dissipates energy, the two settings require different approaches for good sound. The arena or auditorium requires a great degree of frequency sculpting to keep resonance’s under control and clarify the sound. This requires power, more or less, a brute force approach. In contrast, the outdoor venue also requires a huge amount of power since only the initial wave front will be heard and not reinforced by a returning or redundant wave front. Clarity of sound is not the issue; rather a feeling of excitement requires a brute force approach. In part two of Recording The Beach Boys, I address the subject of The Beach Boy's custom built sound system and it’s ability to service both types of venues. Personally my favorite concert settings were the small English theaters and outside shows. The English theater with setting of 1,500 people or so gave a good acoustic setting, intimate enough for clarity, and large enough for an exciting sound. Outdoor concerts required more speakers, but were also clear and exciting, given that The Beach Boy custom sound system had the versatility that could supply the power needed for outdoors and the wide-coverage needed for a smaller theater setting. Over the years I have had the privilege of providing sound for the band from Carnegie Hall in New York City to Royal Albert Hall in London to a hillside presentation of a show to the King and Queen of Sweden, to outdoor concerts in Central Park --- and everything in-between. All this using one sound system of my design, that was versatile enough to meet whatever acoustic setting was presented. Powered by SMF 1.1.21 | SMF © 2015, Simple Machines Page created in 0.262 seconds with 23 queries.